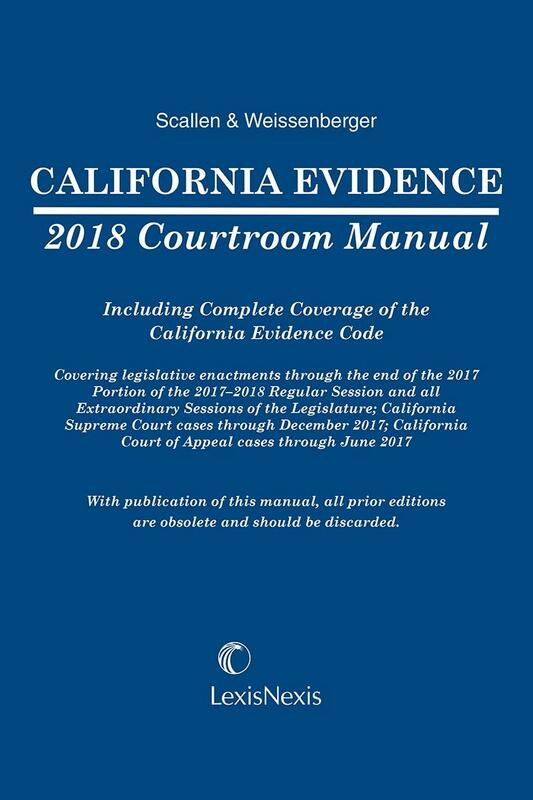 This convenient softcover manual is designed specifically for California courtroom use. 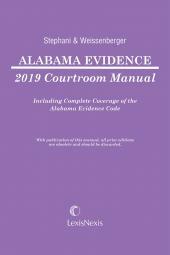 This convenient softcover manual is designed specifically for courtroom use. 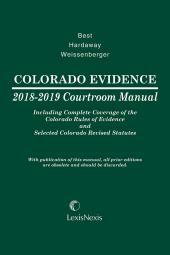 It offers attorneys and judges alike many trial-tested features that not only provide fast, accurate answers to evidentiary questions but also guide the user to the underlying authorities and secondary sources for further research. 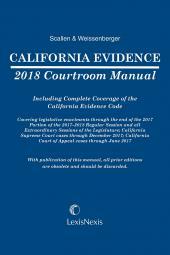 Written by Eileen A. Scallen and Glen Weissenberger, two of the nation's most respected evidence scholars, California Evidence Courtroom Manual incorporates complete coverage of the California Evidence Code and California evidence case law. Eileen A. Scallen is Associate Dean for Curriculum and Academic Affairs at UCLA School of Law, and Adjunct Professor of Law. She served a professor of law at the University of California, Hastings College of the Law from 1989 to 2000, where she also served as Associate Academic Dean, from 1996 to 1998. In the fall of 2000, she returned to her home state of Minnesota. She remained smitten, however, with the California Evidence Code, and in 2013 returned to sunny Southern California, to join UCLA School of Law. 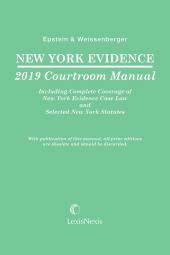 Dean Scallen has served as the Chair of the Evidence Section of the American Association of Law Schools, and has taught and published widely in the areas of evidence, civil procedure, and legal argumentation.